TRENTON — Gov. Chris Christie said he knows he is likely the only obstacle to legalizing recreation marijuana in New Jersey and he’s “damn” proud of it. “To me, legalization of marijuana for tax purposes – and that is the only way people justify it – is blood money,” Christie told a caller on his monthly “Ask the Governor” radio program on 101.5 FM Monday night. “I have watched too many kids start their addiction to alcohol and marijuana and then move on to much more serious drugs. Every study shows marijuana is a gateway drug. And every study shows it causes damage,” the Republican governor said. Christie ripped into the caller who said a handful of legislators who had recently visited Colorado blamed the governor for blocking a legalization bill in New Jersey. The caller suggested the money could be used to roll back the gas tax increase that took effect on Nov. 1. “Are you high?” Christie asked the caller sarcastically, noting the gas tax will generate $1.2 billion a year. Colorado took in $135 million in tax revenue last year. But even if legal pot could match the gas tax revenue, Christie said he wouldn’t change his mind. “There is nothing we spend in government that is important enough to allow me to willfully poison our children. 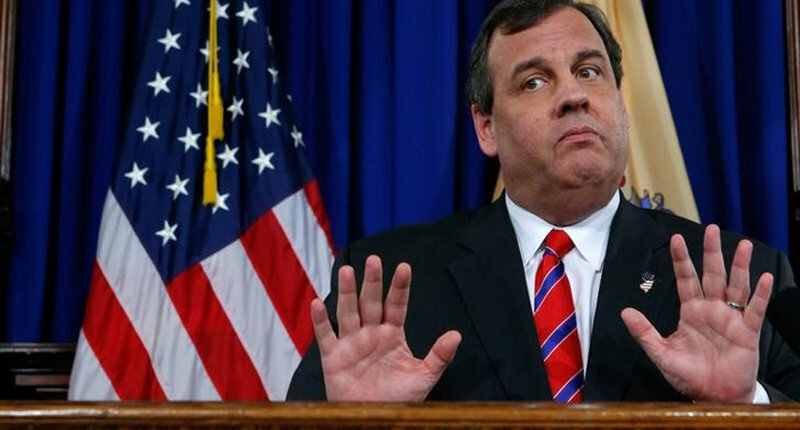 That’s blood money,” Christie said. “You’re damn right I am the only impediment. I’m going remain to be the only impediment until January 18, 2018,” his last day in office. According to the website for the National Institute on Drug Abuse, a federal agency, “further research is needed to explore this question” of whether marijuana is a gateway drug. Christie also took a swipe at Phil Murphy, the leading Democratic contender for governor in 2017, without mentioning him by name. Murphy has said he supports legalizing and taxing marijuana. New Jersey operates a medical marijuana program for more than 9,500 people. ← MOVING TO DENVER PT. 2 – Going crazy from Driving.